1. Do cardio first. Researchers found that while all exercisers experienced a strong “after burn” (a higher rate of calories burned when at rest after exercise) for the two hours after working out, the strength training and run/strength training groups had the highest exercise after burn of all. 2. Try plyometrics. These high-intensity, explosive exercises such as jumping and hopping, get your heart rate up quickly, which equals a higher rate of calories. 3. Use your whole body. Most cardio exercises focus on the lower body (biking, walking, elliptical, stair climbing, etc. ), but if you want to burn more calories, one easy tip is to incorporate your upper body. The more muscles you move, the more calories you will burn. 4. Get intense. To increase the burn, you need to get out of your cardio comfort zone. And when you do, the benefits can be big. 5. Listen to fast music. If you seem to have trouble pumping yourself up for a workout, try popping in those earbuds! So listen to music you love and get your cardio on! 6. Use proper form. Not only does proper form keep you from getting injured, it also ups your calorie burn since your core is engaged. Bonus! 7. Speed up. 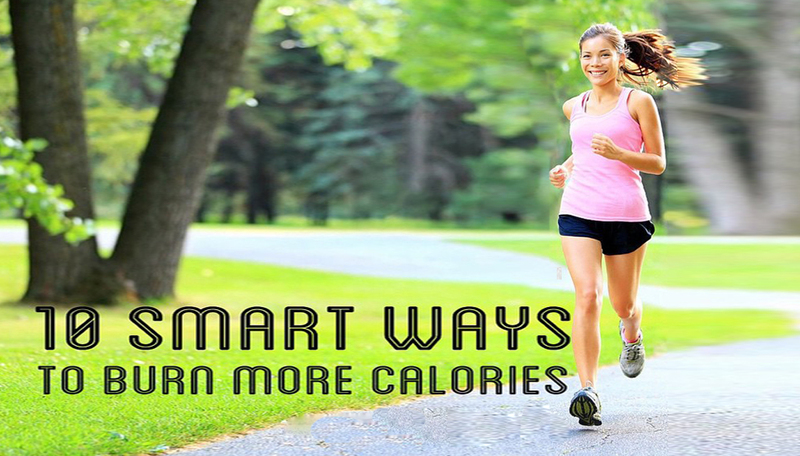 The simplest advice of all for upping your calorie burn? Increase your pace even if it’s just a little bit. The tortoise may have won the race, but the hare burned more calories! 8. Add some intervals. By varying your intensity through different intervals (think one minute running then two minutes walking), you can actually improve your fitness more quickly than by steady state cardio, and you can burn more calories. The bonus? Time seems to fly when you add interval training!